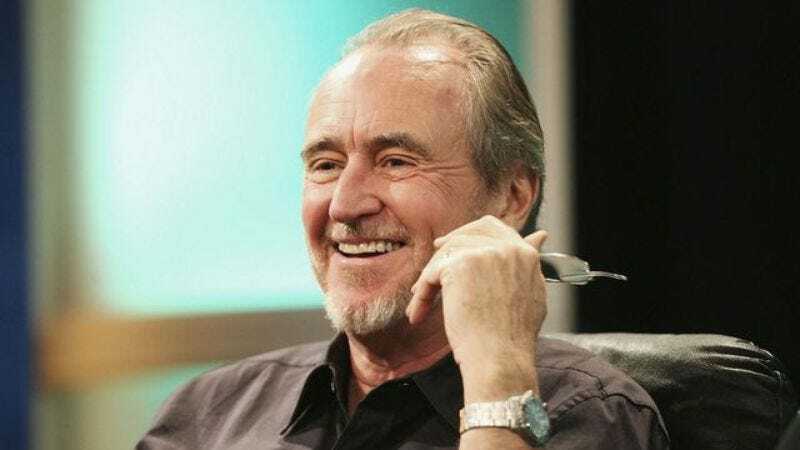 Multiple sources are reporting that horror icon Wes Craven, best known for A Nightmare On Elm Street and the Scream series, died this afternoon at his home in Los Angeles. According to The Hollywood Reporter, the news has been confirmed by Craven’s family, who also confirmed that the director had been battling brain cancer. He was 76. Craven’s transgressive streak continued with 1977’s The Hills Have Eyes, about a suburban family terrorized by mutants in the Nevada desert. Craven followed that film with the poorly-received Deadly Blessing in 1981, followed by a movie adaptation of DC’s Swamp Thing in 1982. A Nightmare On Elm Street was a smash hit, bringing in $25 million domestically and establishing its production company, New Line Cinema—subsequently nicknamed “the house that Freddy built”—as a Hollywood force. There would be nine Nightmare films in total, with a reported box-office gross of $370 million worldwide. (There was also a spinoff anthology TV series, Freddy’s Nightmares, several comic-book series, and a NES game.) Despite his sinister backstory and horrifying appearance, Freddy Krueger had a certain malevolent charm that made him a star, and 30 years later the character is still a common Halloween costume and the subject of pop-culture parody. After Nightmare, Craven, now established as a modern master of horror, directed a handful of episodes of the revived Twilight Zone series, along with the feature films Deadly Friend (1986), The Serpent And The Rainbow (1988), Shocker (1989), and the surprise hit The People Under The Stairs (1991). He returned to direct the seventh Nightmare film, Wes Craven’s New Nightmare, in 1994, bringing back actress Heather Langenkamp to play a version of herself in a film that blurs the distinctions between dreams, films, and reality. Craven decided to stick around his second hit horror franchise for a while, directing Scream 2 in 1997 and Scream 3 in 2000. (In between, he made the most atypical film of his career, Music Of The Heart, an uplifting PG-rated drama starring Meryl Streep as a teacher who gives the gift of music to a group of inner-city kids.) However, his other ’00s output, like the 2005 Christina Ricci werewolf movie Cursed and the Nightmare-esque 2010 teen horror My Soul To Take, failed to make an impression with audiences or critics, and Craven’s last feature was Scream 4 in 2011.